So I often look for ways of brightening up my day and mood, which is where I'd like to take the WM prompt this week. My go to inspiration for colour is Design Seeds® and this image caught my eye. It's got a bit of everything... 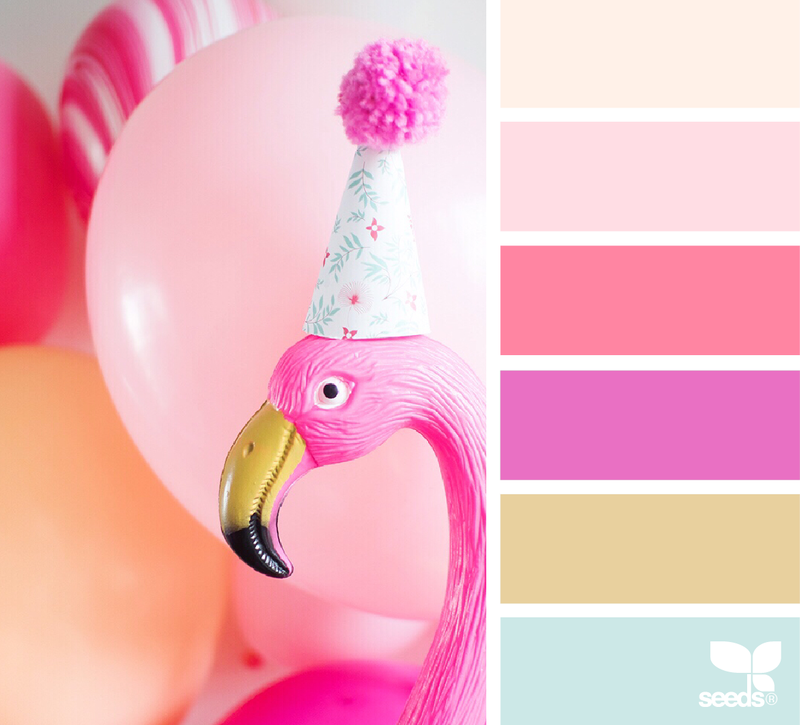 Pretty colours, flamingos, pom poms, party, pink! This week, I'd like you to be inspired by this colour scheme of pinks, blush, fuscia, mustard and soft blue. You can either upload your layout into the Whimsical Musings Flickr gallery with the tag WM#249 or you can post it in our Whimsical Musings Facebook group. We've decided that we'll save albums for special occasions so just load up your photo to the group with the tag WM#249 in the write up text so that we can find it.